It has been a while s ince we had a YBA! We would like to introduce Ikechukwu Uzoma, a law graduate from Abia State University who was called to the Nigerian Bar in November 2014. He hails from Imo State, South East Nigeria and is the second of five children born to his parents. He is presently undergoing the National Youth Service Corps (NYSC) programme in the Federal Capital Territory, Abuja. He has had modest experience in International Development and Civil Rights Advocacy. He is also passionate about Legal Education, Foreign Diplomacy and International Humanitarian Law. Ikechukwu was called to the Nigerian Bar with a First Class Upper, making him one of the celebrated four people of the November 2014 set. 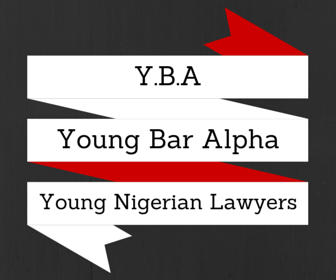 He is our YBA this week and as always the YBA post is to showcase young exceptional lawyers who are, or planning to specialize/form a niche for themselves in various areas of Law both in Nigeria and abroad. It will also showcase young Lawyers doing amazing things in our country. I had the wonderful opportunity to interview Ikechukwu, in this interview, we see his clear cut goals to becoming a Harvard Professor and the mentor guiding him along this path. BA: So you know I have to ask this first, did you always want to study law? IU: I will answer in the affirmative. Becoming a lawyer was my childhood dream. I grew up saying I would be a lawyer for no particular reason. As I approached my decision years, I realized that my dream had moulded me into a frame that could only accommodate studying of law. At some point, before I got admitted into Abia State University (ABSU), I considered scholarship in International Relations and Foreign Diplomacy but when I couldn’t find a University that had that as a component of their curriculum I reverted to Law. IU: Going into the law school, I expected a new learning environment where I would make new friends and complete my 6 year long experience of learning the law. I looked forward to a faculty of role model teachers that could inspire me to develop the skills required for a strong legal career. I came into the law school very expectant of a challenging and competitive learning experience with a desire to master the law. A little over 50 percent of my expectations of the law school were met. My experience was both impactful and demanding. It toughened my resolve to succeed irrespective of my condition. My understanding of the law was better crystalized by my exposure to the operation of the Nigerian legal system. My law school year afforded me the opportunity to broaden the circumference of my network across tribal and ethnic lines.I attribute this to certain structural and systemic defects that require quick attention and review. BA: Amen to that! Can you please tell us some of your achievements both before and after Law School? IU: I was part of a team that won the National Client interviewing and Counselling Skills Competition organized by the Network of Universities’ Legal Aid Institutions (NULAI) in 2011. In 2012, I was part of the team that represented Nigeria at the Forest Morsten and Louis Brown International Client Consultation Competition at Dublin, Ireland where we got to the Semi Finals. In 2012 I graduated 2nd place in my University Class of over 120 students. I wrote my first book “Resplendent Reminiscences” immediately after Law School in November 2014. My book is a memoir that chronicles all my thoughts about excelling in the Bar Finals. I recommend it for Law School students. BA: You have really done well for yourself Ikechukwu. More importantly congratulations on achieving a first class degree from the Nigerian Law School. Any tips for those who hope to achieve the same thing? IU: Thank you so much. I have done an elaborate advisory work in my book but will just share as much as space will permit on. Second, to succeed at the Bar finals, the student will have to begin preparation in good time. This begins by attending all lectures, participating in class activities, keeping a notebook that has everything that has been taught in class, reading up the course content before lectures, and engaging in as many mock exams as possible. Also, any student that will love to do well at the Bar Exams must sacrifice some social activities that could serve as distraction from work going on in school. Keep a small circle of friends that encourage you to study and learn more. Manage your time properly, always creating ample time to study and revise your work. Above all, involve God in your pursuit for success. He will grant you wisdom to study and succeed. BA: Thank you for that. What area of law do you take interest in or specialize in? IU: I am just one year at the bar and haven’t fully decided what specialty I will love to pursue. However, I am interested in International Law and Foreign Diplomacy. I am also interested in International Development as well as International Human Rights Law. I am presently involved in General Litigation and hope to pursue specialization in the near future. BA: How were you able to be decide on your area of interest? Were you inspired by any one in particular or did you do the research? IU: As stated already, my mind is not completely made up but my career inclinations are borne out of my experience in internships and research work in the last 4 years. My passion for education is a response to what I consider as a deficit in a proper educational model in Nigeria. BA: Who do you consider your role model in the legal profession? IU: My role model is Prof. Chidi Odinkalu, the Chairman of the Board of the National Human Rights Commission (NHRC). BA: What are your long term goals? Where do you see yourself in 5/10 years? IU: Yes I have long term goals. By 2025, I will love to be a Professor of Law at Harvard University and deeply involved in policy development and restructuring of Educational Sector of Nigeria. BA: How are you working towards achieving your goals? IU: I am presently preparing to begin the application process for my post graduate studies. I have also chosen a mentor that have achieved this feat. BA: If you don’t mind, can you give me a brief profile on where you work? IU: I am presently an associate at Awa U Kalu (SAN) & Associates. The firm majors on litigation and advisory services. Chief Awa U. Kalu (SAN), former Attorney General of Abia State, presently leads a team of 10 lawyers in the firm. The Firm is located at 2A Atbara Street of Kampala Street, Wuse II Abuja. BA: Are you a member of any professional society or group in furtherance of your career? 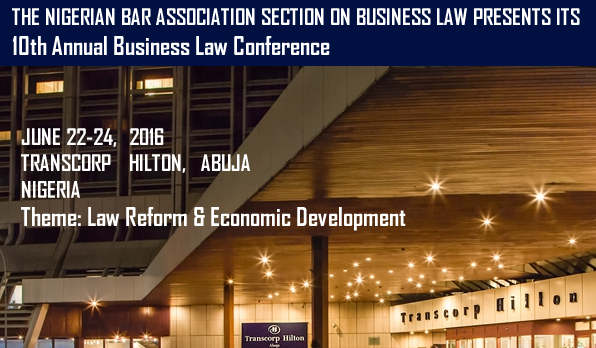 IU: I am a member of the Abuja Branch of the Nigerian Bar Association (Unity Branch). I am also a member of Guardian of the Nations International (GOTNI). BA: What’s your favourite book and movie? BA: Thank you so much Ikechukwu, It was nice talking with you!